There are pros and cons to labeling anything. When we label something, it becomes locked in time, and it becomes the new reality. For those in the medical and educational establishments, the label (or diagnosis) is irrefutable fact—that’s the way it is, period. To them, once you have a child with dyslexia, it’s a lifelong condition that can only be managed. And it’s not going to change, so don’t disagree with them or ask for further help. They will give you the help they can, and unfortunately, it’s not much. Now, labels do have a purpose, even though no one likes them. Labels are sometimes helpful because they grab your attention and force you to focus on a problem. They give you a starting point to resolve a situation or find a solution to a problem. In your child’s case, the label led you to this blog, and the label will lead you to the answer you seek. So we could argue that the dyslexia label was helpful in finding the solution. But labels are not forever—unless you let them be. Especially in the case of dyslexia (and other learning challenges such as dyscalculia, dyspraxia, and ADHD). OK, the label is there and you know there is hope. You now know that it’s not a forever label or diagnosis. Don’t let them put an identity of dyslexia on your child when he or she might not have to always wear it. That could be a genuine disservice to your child! In my 25 years of helping children reverse dyslexia, I’ve seen kids start reading, start doing their math without help, and just plain start believing in themselves. They didn’t want to be labeled or considered dyslexic anymore once their obstacles were removed. The label spurred them on to change and become all they can be. In this case, the label was a good thing. 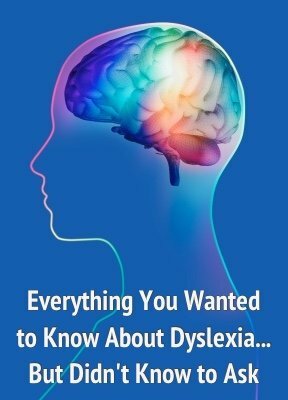 I want to help you and your child understand and know that dyslexia is a temporary condition. 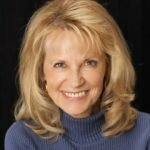 I know it’s possible to treat dyslexia naturally, because I’ve been doing it for 25 years now. It’s time to let you and everyone else know there is a solution. Your child with dyslexia can learn easily and look forward to learning. And you can relax, because your child is going to be ok. Reversing dyslexia doesn’t happen overnight, but the process is simple and straightforward. I will ask you and your child to commit to working with me in specific ways, but you’ll enjoy the process and easily understand how it will help your child. In fact, your entire family will be healthier for it. Are you anxious to get started? Please call me at 512-331-0668 for a complementary consultation today, or contact me for more information. Your child can be dyslexia free! Can you imagine what YOUR life would be like if your child with dyslexia could learn easily and effortlessly? Can you imagine how your child will blossom and grow when he or she is free from the label? Reversing dyslexia is absolutely possible for your child. I look forward to speaking with you and taking that first step together to treat dyslexia naturally.